This Thunderbird to PDF Converter product is a systematic way to save MBOX emails as PDF format, maintaining data integrity throughout. 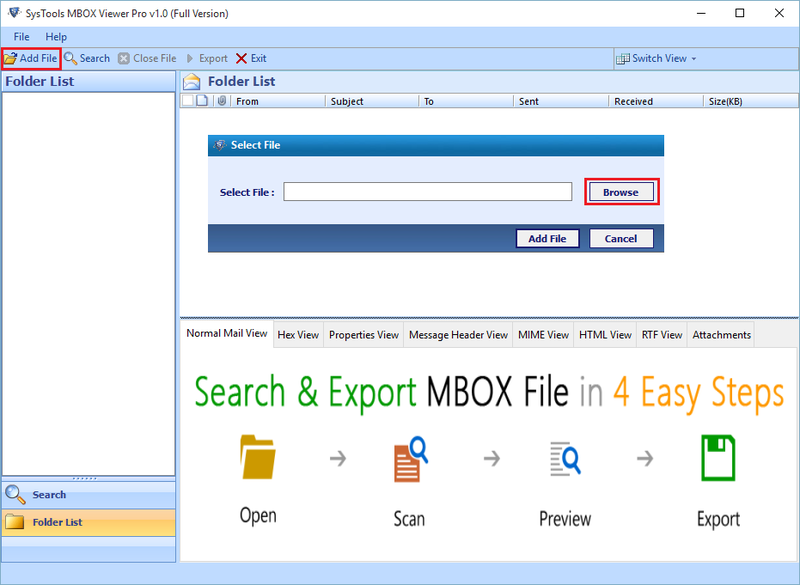 The MBOX to PDF Converter software to extract attachments from MBOX file appends none of the file size limitation and thus, feel free to browse MBOX file of any size. Once the data conversion of MBOX files to PDF is completely finished, users can open and view exported file in any version of Adobe Reader. Besides this, users can convert MBOX to PDF without any Adobe Acrobat reader installation. 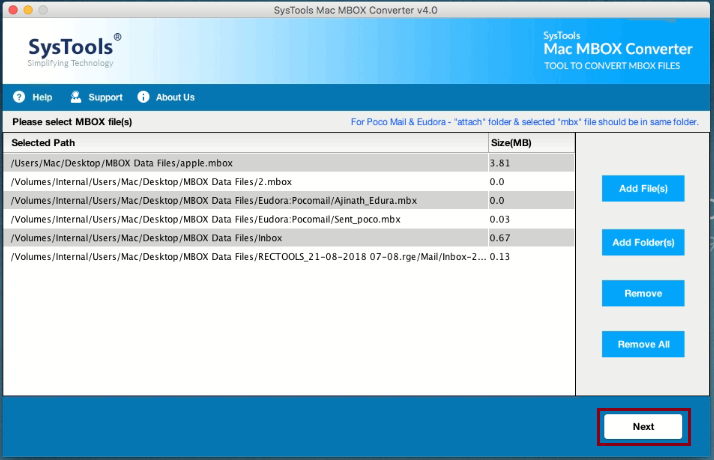 MBOX to PDF Converter renders a smart technique of carrying out a deep search within loaded MBOX files. Users can collect evidences from processed files with help of several filtering features. The software for converting MBOX files to PDF is designed in a way that it exports complete data from MBOX format to portable documents. This tool to save Entourage email as PDF also convert attachments like DOC, PPT, images format, etc., to PDF in the original form. MBOX to Adobe PDF Converter exports emails by maintaining the meta components of emails like its subject, date, time, Bcc, Cc, etc. It also hold the standard and rich text styling of messages. It is possible to change file name of resultant file as per convenience. Users can choose any pattern for saving portable documents in legally accepted way. There are 5 + file naming convention options rendered by this tool to convert MBOX file to PDF. Is it possible to convert particular MBOX emails into PDF format? If yes then, how can I do this? Does your Thunderbird email to PDF Converter Software supports MBOX file generated by Mac operating system email client? 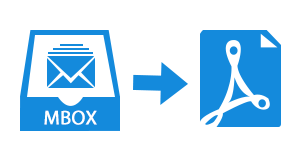 Yes, our tool supports .mbox file of any email application, either it is Windows-based or Mac- based. 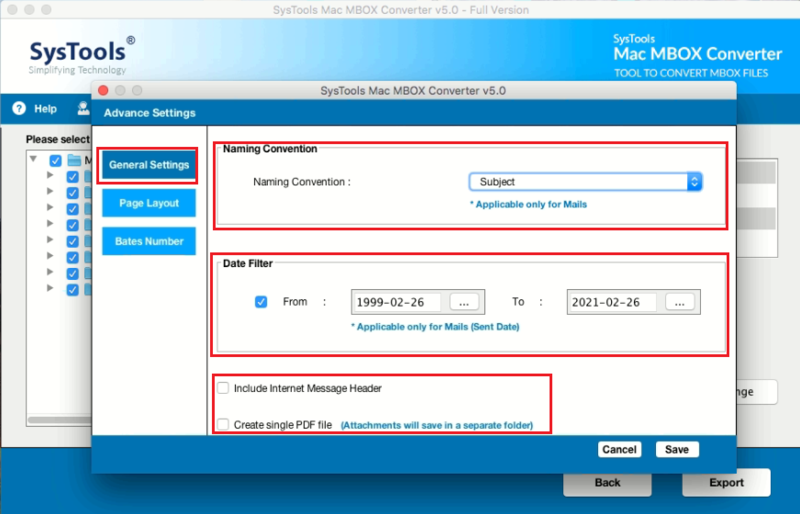 Will you MBOX to PDF Converter work upon Apple operating system? No, this MBOX file to PDF Converter product to extract emails from MBOX file is Windows-based and thus, workable only on all available versions of Windows. You can export MBOX file from Apple OS and then, convert its emails in .pdf by Windows MBOX to Adobe PDF Exporter. I am having MBOX file of more than 1GB size. Can I browse this file in your software to migrate MBOX files to PDF with attachments for some task accomplishment? Yes of course, MBOX file of unlimited size will easily be supported by our product to export .mbox to PDF. So, don’t worry you can work with file of any size with our product. Step 1: Download and Install Software to convert Thunderbird email to PDF. All the messages with its attachments gets loaded on preview window of the software. You can confirm all the data to be exported in PDF file format. On the bottom left, you will find a Search button. 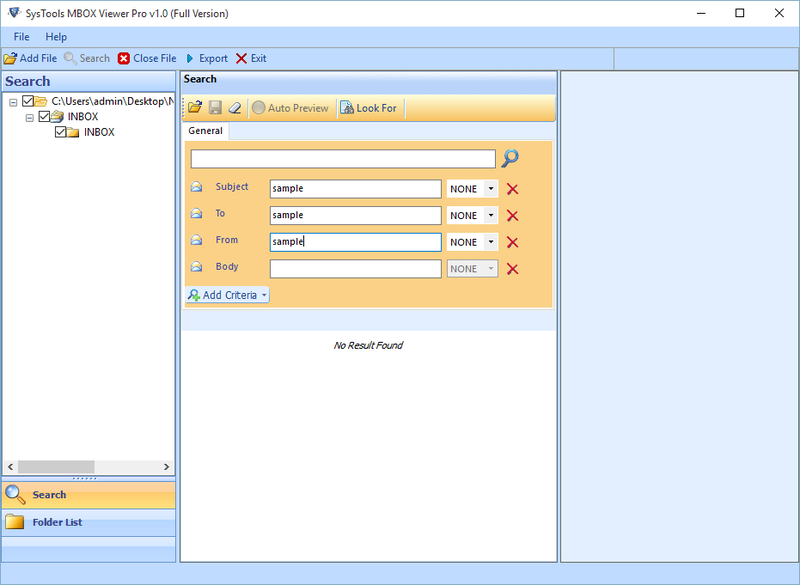 Click on it and perform searching either in an individual or several MBOX files with provided attributes. You can also add various criteria’s to make the searching process more easy and convenient. OR : Used when you are unsure about any particular parameter. AND : When you are confirmed that provided 2 parameters are definitely present. Once you are done with previewing and searching feature, click on Export button to convert MBOX files to PDF. From the Select Folders pane, check the checkbox of all those folders whose emails are to be saved in PDF format. You can skip this step, if you don’t want to impose any other name to portable documents. Rest, click on drag-down menu of Naming Convention and choose any of the provided option. Click on Browse button for locating the path where you want to save all resultant MBOX emails. 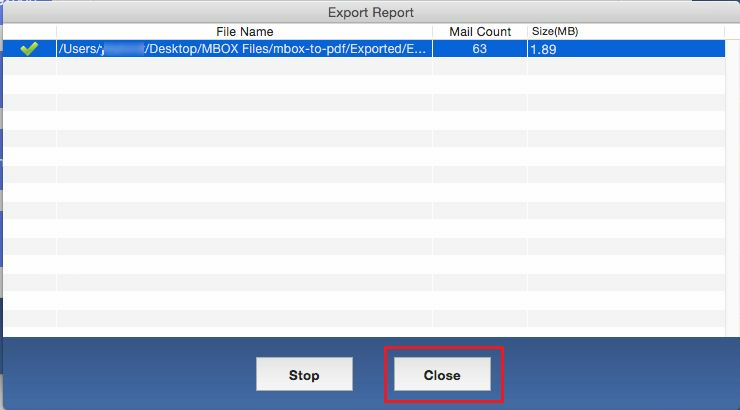 Hit on Export button to command the MBOX to PDF Converter software that it can start printing MBOX file emails in PDF format. "It is a regular task for me to print MBOX files to PDF for some legal purpose. Therefore, my manager recommended me to purchase this MBOX Files to PDF Converter product to save Entourage email as PDF. Without this product, I cannot imagine about converting 1000s of MBOX emails in PDF format"
"The amazing feature of this product is its searching feature. 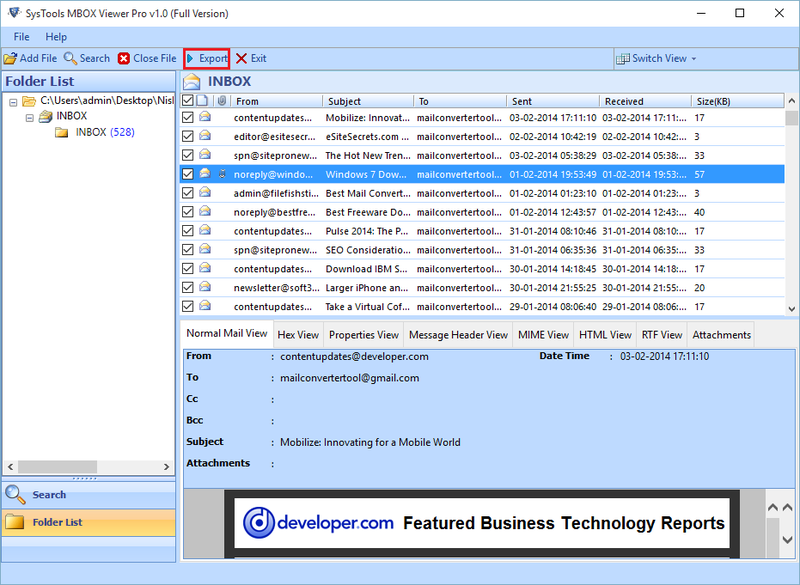 This aspect of analyzing emails of MBOX file makes tool to extract attachments from MBOX file more useful while working. I loved the way it works with large-size MBOX file and I want to thank developers for providing all-in-one solution through SoftwarePro MBOX to PDF Converter." In order, the tool is designed to render the successful migration of all email messages from Mac MBOX to Adobe PDF on the Mac platform. This .mbox to PDF conversion creates the PDF file for each mail extracted from the MBOX mailbox files. 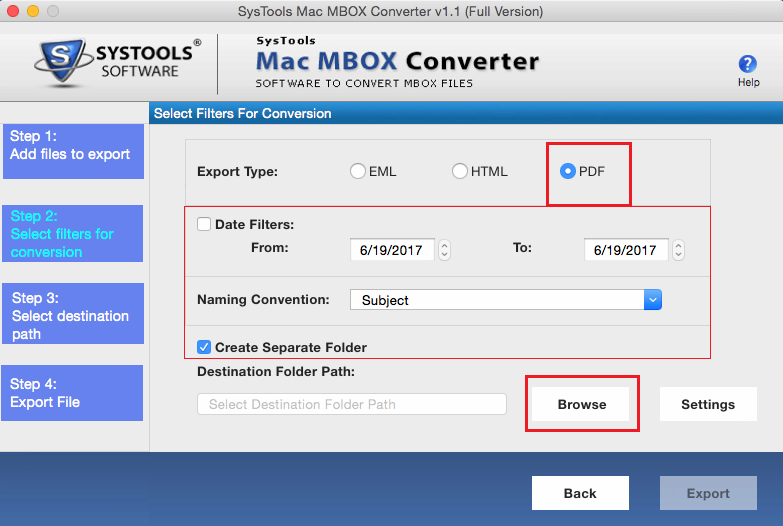 MBOX to PDF Converter for Mac users will allow to retain folder structure, HTML formatting, inline email attachments all remain same even after performing the conversion. Also, helps to transfer files from Mac MBOX file to PDF with maintaining the email properties. This Apple Mail to PDF Converter software to extract attachments from MBOX file will permit the user to convert multiple Mac MBOX files to PDF at a time. If a user choose "Separate Folder" option then, a separate folder is created for each MBOX file and also create one single folder for all files from Mac MBOX. Mac MBOX to PDF converter tool offers an option of naming convention that helps to save each message with a particular name. Even while saving files the user can decide the naming pattern to save their emails according to date, to, cc, subject, and so on. The Mac Mail to PDF Exporter tool is built that permit the users to filter their each mail from Mac MBOX file according to the particular date range. Moreover, filtered email messages must be kept for the specified duration which is needed at that time. Every email comprises of message properties that include several details like attributes such as To, CC, BCC and other header information with attachments. 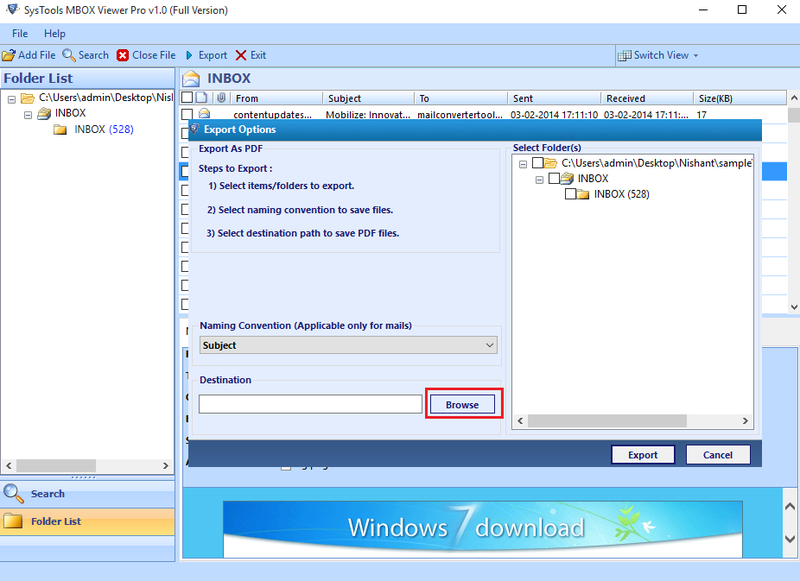 The MBOX files to PDF Migrator software ensures that these properties to be retained for converting the emails. 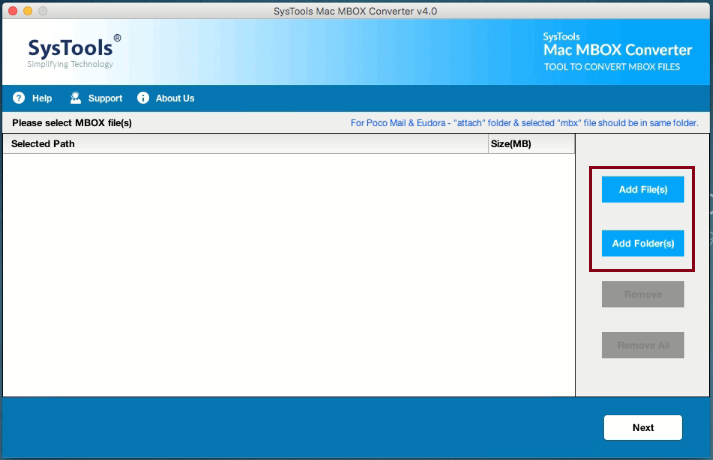 Mac MBOX to PDF Converter allows the user to run successfully on Mac OSX 10.10, and all later versions of Mac machine. 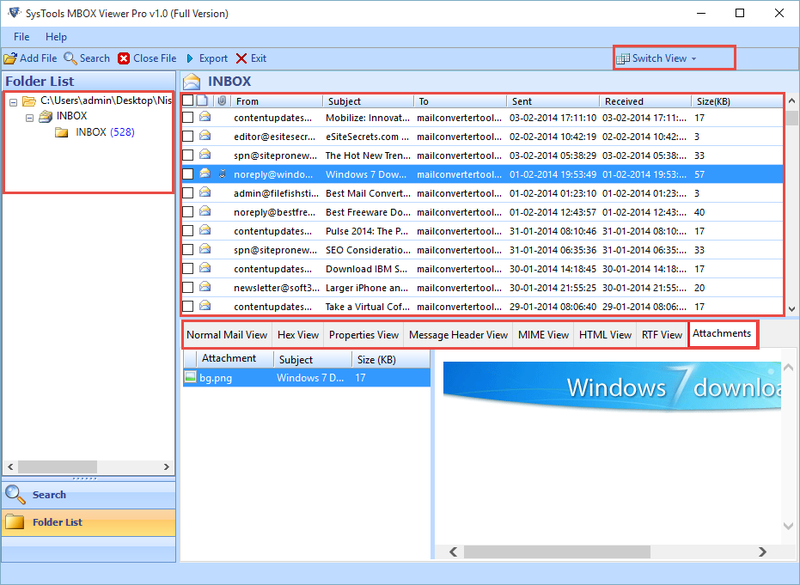 However, .mbox file created with the supported email platforms. In addition, this Mac .mbox to PDF Converter software supports Mac OS to perform the conversion from a MBOX file. The MBOX File to PDF Converter software to print MBOX in PDF with images is capable to export any size mac MBOX file to PDF file format. Just install the .mbox to PDF Exporter Tool on your host machine and browse any size .mbox file in software. Apply advance feature like filter and selective conversion. Now the tool will export entire data from in portable document format. 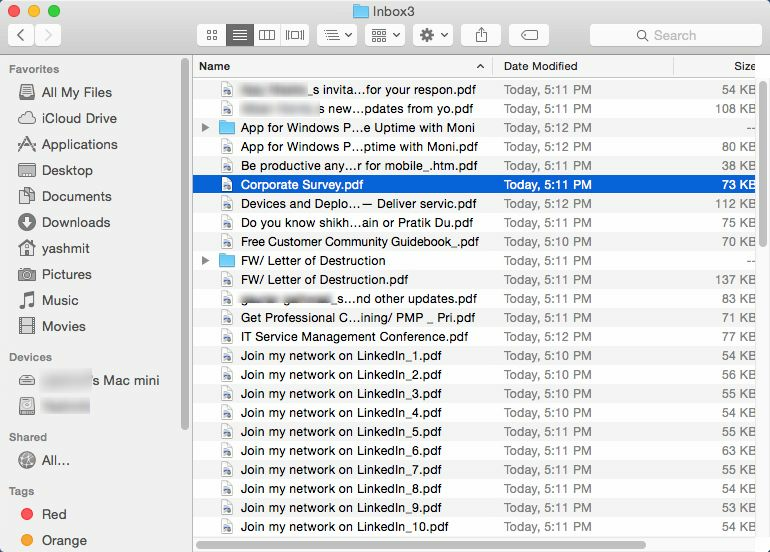 Can I extract all emails from the Mac MBOX files to PDF with this software? 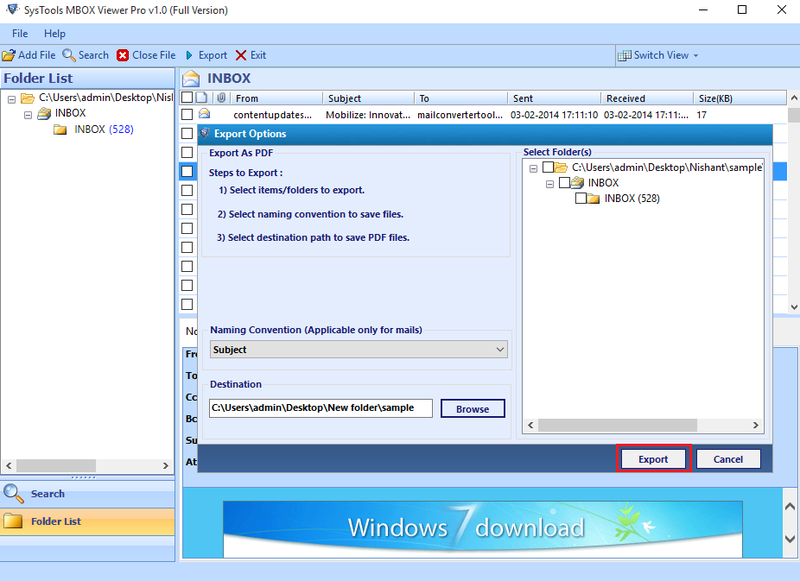 Yes, through MBOX to PDF conversion tool you can extract each mail from a source MBOX file to PDF format. Is there any way to convert multiple MBOX data into PDF file at once? Yes Of course, this application enables to export the MBOX files to PDF format in bulk. It will take few clicks to move MBOX data to adobe PDF. Does the software maintain the folder structure after MBOX conversion? Yes, MBOX file to PDF converter is capable to retain the folder structure as well as HTML formatting during migration from MBOX file. 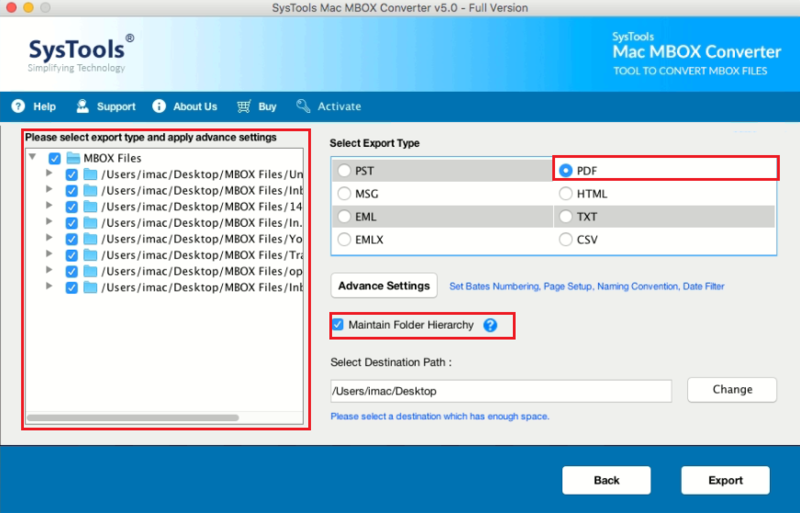 Does this MBOX file to PDF Converter tool compatible with Mac OSX 10.10 OS or lower edition for executing the migration process? Yes, this MBOX files to PDF Migrator tool to export emails from Mac Mail to PDF supports Mac OSX 10.10 and all its latest versions as well. Can I save my emails according to the particular date with the help of this software archive Mac Mail to PDF? Yes, you can save emails as per the specified date, subject, to, cc, etc with the provided "naming convention" option. Does this Thunderbird email to PDF Converter software provide 'email filtering' option to filter Mac MBOX emails according to the specified date range? Yes, MBOX to PDF Converter for Mac will provide 'email filtering' facility to keep all records safe and secure. 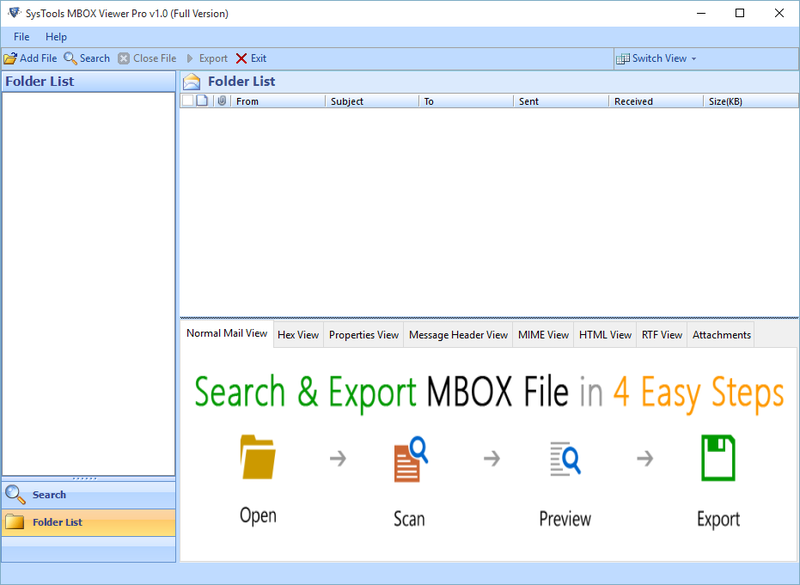 First, Download the software to extract emails from MBOX file and click Add File from the menu to add the MBOX files. 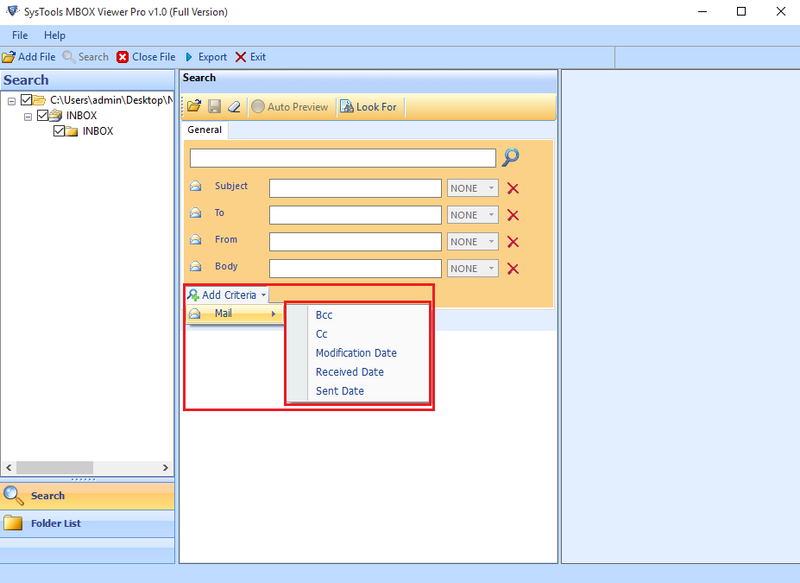 Choose PDF radio button for exporting MBOX to Outlook file format. Also you can apply filters and other required features. At the end, you can see all the messages in PDF format after browsing the desired path. "Great skills and experience with the technical team throughout the MBOX file to PDF conversion process. Really beneficial software to perform the bulk migration from MBOX files to PDF format. 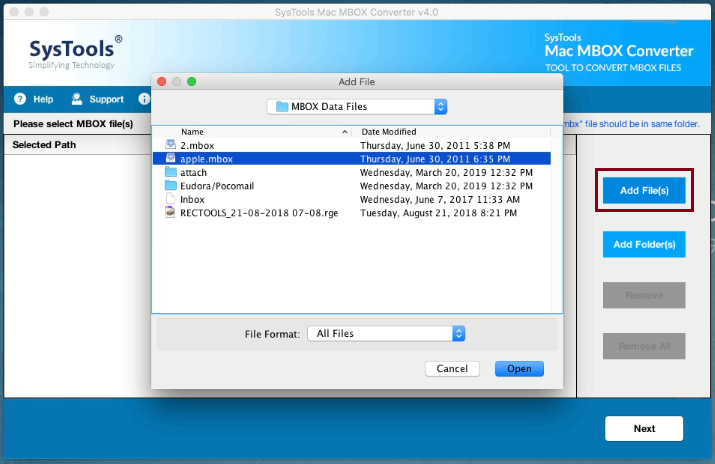 With Mac MBOX to PDF converter tool, I can easily transfer entire data from Mac MBOX files. Totally satisfied with the complete working of this software. Thanks a lot!!" "Mac MBOX to PDF converter is an amazing Apple Mail to PDF Converter tool that I have tried earlier while performing the migration.One of the best part of this tool is that it provides naming convention and email filtering option too. It is the best software to archive Mac Mail to PDF I ever used, simplified, user-friendly and up to the point. Great work was done by the development team for designing an efficient solution."